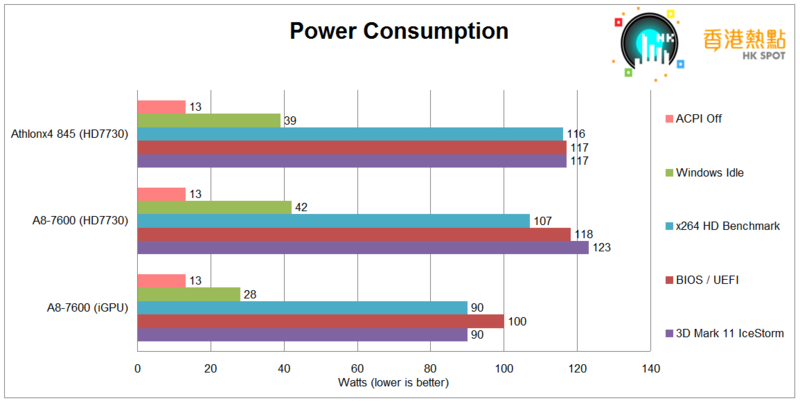 Athlon x4 845, despite its architectural improvements, was more power consuming than A8-7600 in several scenarios, either at the same frequency or the stock frequency. 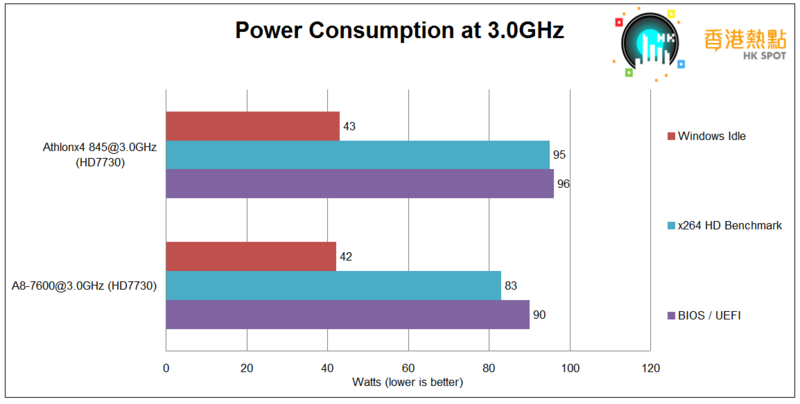 It was probably due to the optimization of power consumption at lower frequencies. Excavator offered small architectural improvements over Kaveri. Over the last few years, AMD tried to improved the badly-performing Bulldozer family. Excavator, the last generation of the series, saw continual improvement in performance. But possible due to the low frequency-orientated design, it consumed more power than Kaveri while the iGPU is disabled in the desktop parts. I personally would prefer Kaveri over Excavator, or I would wait for Zen APU.